MIAMI GARDENS, Fla. (AP) — The Miami Dolphins will move their training complex eight miles south to a site next to their stadium in north Miami-Dade County. 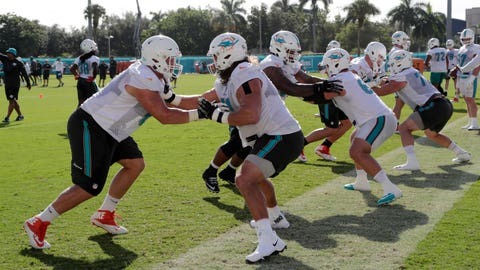 The Dolphins’ training headquarters have been at Nova Southeastern University in Broward County since 1993. The team will build a larger complex expected to cost up to $75 million and projected to open before the start of the 2020 season. The site decision announced Tuesday came after the Miami-Dade County Commission recently voted to subsidize the move. The Dolphins were also considering a site in Miramar, a suburb of Fort Lauderdale in Broward.